Yes, here is another shy girl. 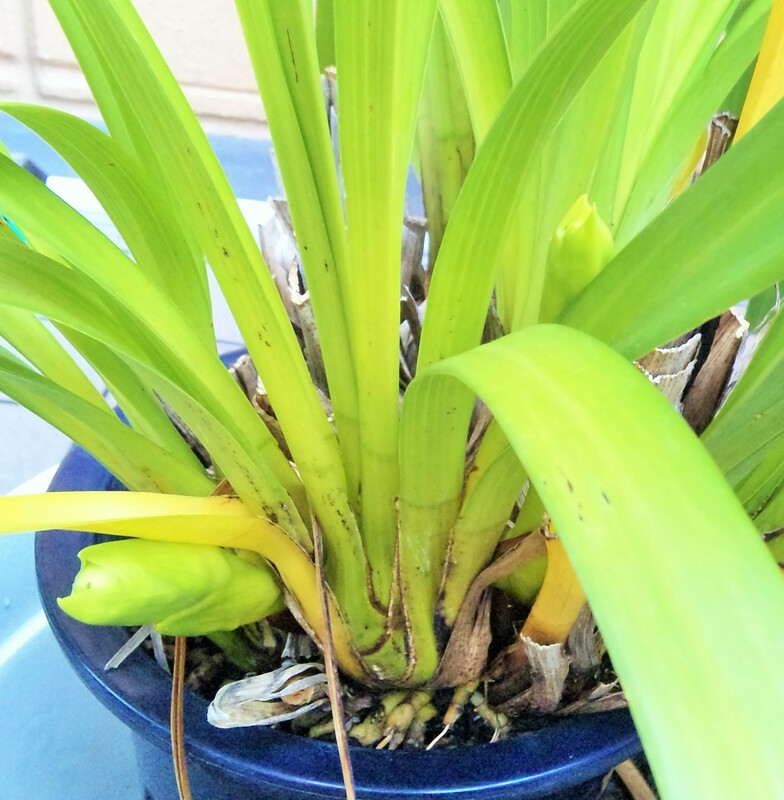 She surprised Mei-Shun who was taking photo of yellow leaves in this cymbidium pot. 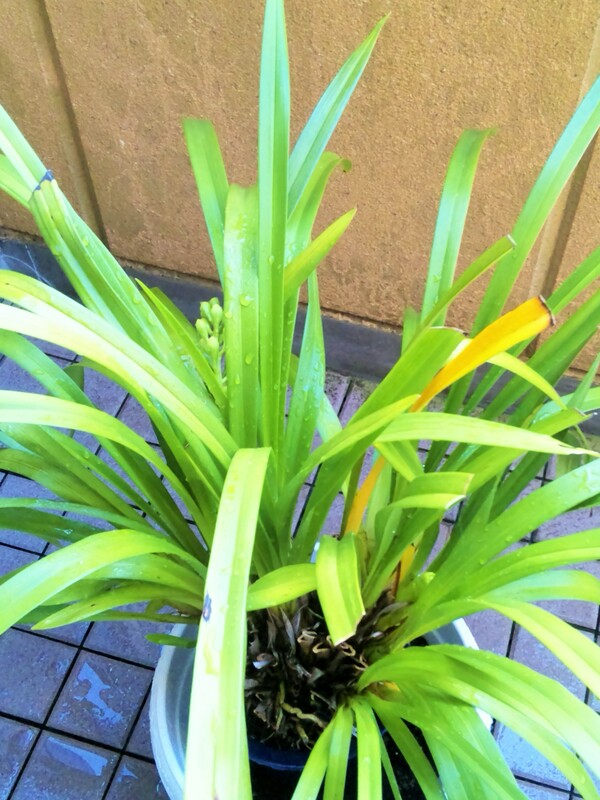 They give a unique contrast with flower bud sisters, don’t they? Named “Yellow Card”, sounds a bit dangerous, yet means one of her owner’s favorite colors to put on.